Purple, Pink, Blue and Black. 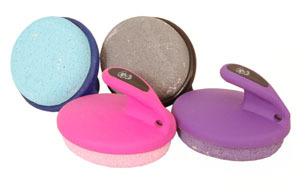 The Tuffy Easy Grip Pumice Stone fits snug in your hand. Perfect for your grooming needs.